As I Open My Eyes starts as a coming-of-age story about an aspiring singer Farah (Baya Medhaffar), going through a very recognizable teen rebellion against her mother. 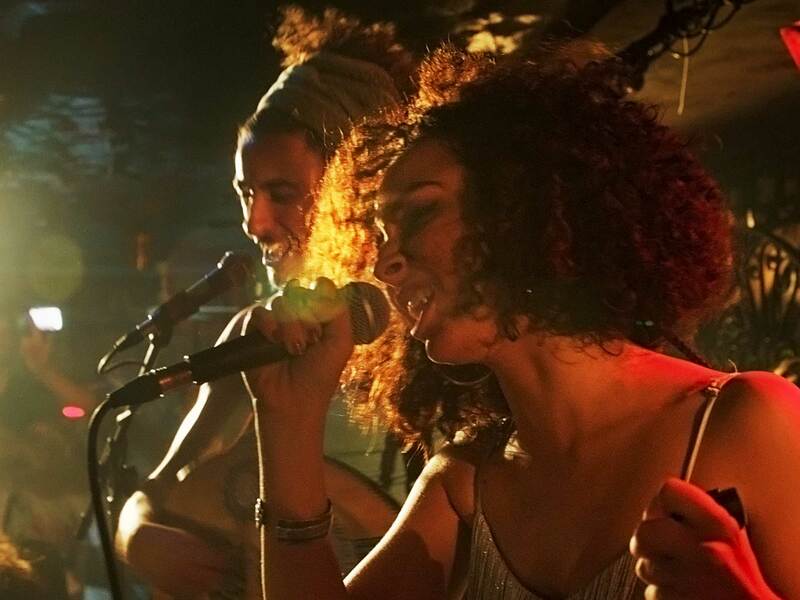 The mom (real life singer Ghalia Ben Ali) doesn’t want her daughter hanging out late at night with boys, drinking and playing in a punk band. The dad, who is often away on travel, just wants to make peace. But this small story of a Tunisian family conflict widens as the film goes on, playing out against the wider political rebellion of the Arab Spring. Farah’s band discusses how far they can push their lyrics, and find they are drawing the attention of government informants. This is debut feature of director Leyla Bouzid, who co-writes with Marie-Sophie Chambon. It has played at Tribeca, Toronto and Venice and opens today in New York City and on Sept. 30th in Los Angeles. The performances are a bit raw in general, but the film is held together by Medhaffar, who feels all the feels of a young girl embracing love and life. The warm, expressive cinematography, by Sebastien Goepfert, is also a highlight. Movie goers who like musical films, films with a strong female point of view and films that show what everyday life is like in a police state are strongly urged open their eyes to this film! Did Kubrick Repudiate Eyes Wide?